Diameter 85mm. Depth 150mm. Cut-out 73mm. 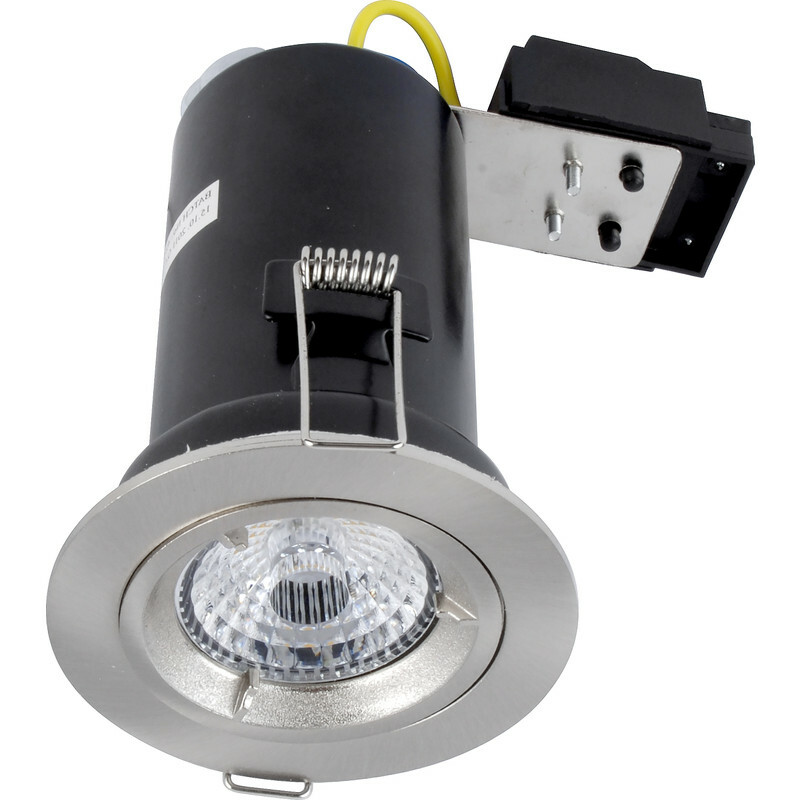 LED 9W Fire Rated Dimmable GU10 Downlight Satin Chrome 650lm is rated 4.5 out of 5 by 2. Rated 4 out of 5 by PhilB2018 from Good downlights I bought these as they included the lamps with a 3 yr warrentee. I didn’t want a intergrated fitting as I don’t want to replace a fitting because a lamp goes - that just seems wasteful and requires rewiring, this made my options limited as most now are intergrated. So far I’m very happy with my choice.